Author: Tasker, Peter Set In . . . Description: The New York Times called Peter Tasker's first thriller, Silent Thunder, "pure entertainment" that "pulls out all the fictional stops yet does so convincingly." 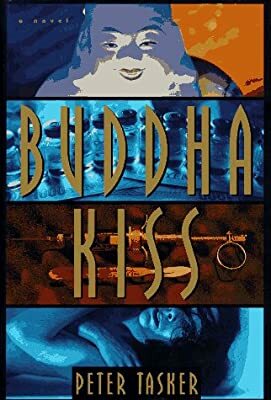 With Buddha Kiss, Tasker takes his sophisticated brand of suspense to a whole new level. Richard Mitchell used quick wits and a degree in Japanese Studies to turn his job as a bike messenger in central London into a position as securities analyst in Tokyo. Those wits should help make him a financial whiz-kid -if his career isn't ruined first by his having to recommend the underwriting of a run-down company at the insistence of his new boss, Yazawa, a strange, mercurial man who seemed to appear out of the blue three months ago. Meanwhile, Kazuo Mori, a maverick private eye in the world's most conformist society, is trying to retain his independence as he investigates the murder of a friend's daughter. His inquiries seem to be leading him toward the radical Peace Technology cult-it's just that any time he makes progress, somebody tries to kill him. These are minor tremors from a disruption deep in Japan's unstable structure, a disruption so deep-from huge financial fraud to the narcotic ambitions of a religious zealot-so lethally crazy and so diabolically organized, it will destroy and reshape worlds.